Dr. Craig Zion Cain, D.C. Founder of the Kiso Method, a revolutionary Asian healing technique. The Kiso Method is available with force and non-force techniques for chiropractors, and non-force techniques for other healing practitioners; including massage therapists, and acupuncturists. Dr. Cain is the founder of the Kiso Method. The Kiso Method has been learned in more than 24 countries. The Kiso Method is presented in two manuals for chiropractors and two manuals for non chiropractic practitioners. The Kiso Method is a unique healing art using both force and non force techniques. It has a very effective non force technique for the lower back focusing on disc injuries and sciatica. It also has a cranio-sacral part that focuses on cranium/Atlas adjustments. This area is responsible for the imbalance causing a fight or flight response in the individual. Dr. Cain has been a chiropractor for 30 years and is a graduate of Palmer College of Chiropractic West in San Jose, CA. Dr. Cain is also a professor at the Chiropraktik-Campus in Hamberg Germany. He practices in Hilo, Hawaii. Dr. Cain teaches the Kiso Method to individuals in Hawaii and does seminars in both America and Germany. 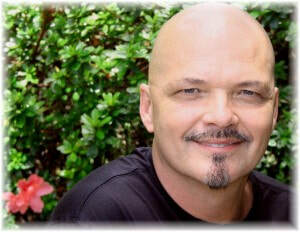 He sees chiropractic patients in his clinic, the Awakening Healing C​enter, in Hilo, Hawaii.